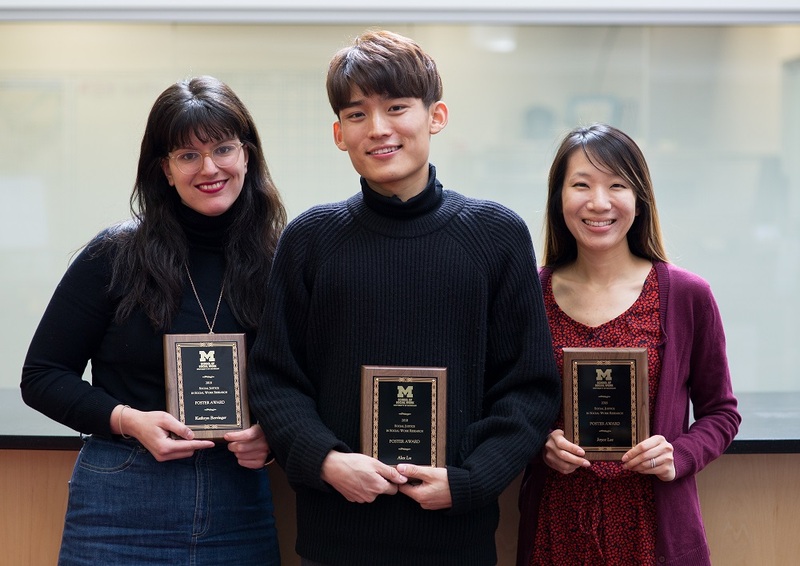 Kathryn Berringer, Alex Lu (MSW student) and Joyce Y. Lee received the Doctoral Poster Awards at the School of Social Work's Social Justice in Social Work Research Symposium. Berringer was awarded for her poster, "Examining Drivers of Health Inequities in HIV Pre-Exposure Prophylaxis (PrEP) Implementation in the US". Lu and Lee for their poster "Spank, Smack, & Whoop”: Stay-At-Home Parents’ Spanking Tweets".